The sport of wrestling is arguably the most demanding and grueling sport going today. Wrestlers know that while wrestling is a team sport, it’s really an individual experience, and wrestling success relies heavily on confidence, discipline, motivation, and bouncing back from adversity. 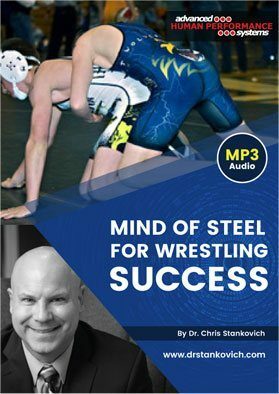 On this program Dr. Stankovich discusses the mental aspects of wrestling, including power goal setting, getting in “the zone,” how to improve on-mat focus, imagery drills for better muscle memory, pre-match routines to enhance confidence, plus much more!